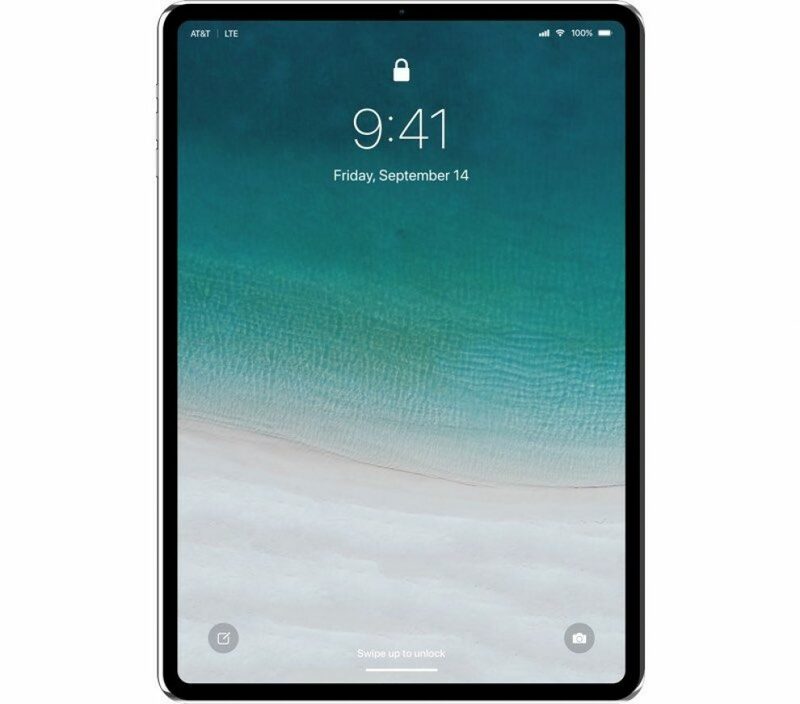 By the month end, Apple is expected to update its iPad Pro line-up with new models featuring Face ID biometric authentication and near bezel-less displays. The latest rumors suggest the overhauled tablets might also be featuring new “Magnetic Connector” and support for an updated Apple Pencil. Long awaited rumors regarding the next generation of iPad Pro, 9to5Mac, citing sources familiar with the matter, states the devices will indeed ditch the home button in favor of Face ID. The newly updated line-up won’t follow the ‘notch‘ aesthetic like iPhone X. The larger tablets will be integrated with Apple’s TrueDepth camera system in its bezel, a design revolution that has earlier been reported on multiple occasions. What else the rumor suggests the device will include? The newly updated line-up will supposedly support 4K HDR output to external monitors and TVs via integrated USB-C port. New option in the Settings app will enable control over resolution, brightness and HDR options, the report says. Previous rumors have indicated over Apple to replace Lightning with USB-C as it looks to support higher bandwidth applications. Another new rumor from the report states, Apple is not only updating its Smart Connector to what the publication calls a “Magnetic Connector,” but will relocate the port to iPad’s rear. The new connector will supposedly support new accessories beyond the usual keyboard, though the report was incompetent to detail what add-ons are expected. The claim also suggests about the next-generation Apple Pencil that pairs when in close proximity to an iPad. The solution is in the same with the AirPods or HomePod. Sources identified this year’s model monikers as “iPad8.1,” “iPad8.2,” “iPad8.5” and “iPad8.6” for Wi-Fi only and “iPad8.1,” “iPad8.4,” “iPad8.7” and “iPad8.8” for cellular-enabled versions. The claim also confirms previous rumors regarding Face ID support in both portrait and landscape modes. Apple is expected to announce a new slate of iPad Pro models at a special event later this month. New iPhone X model to feature triple lens camera technology?